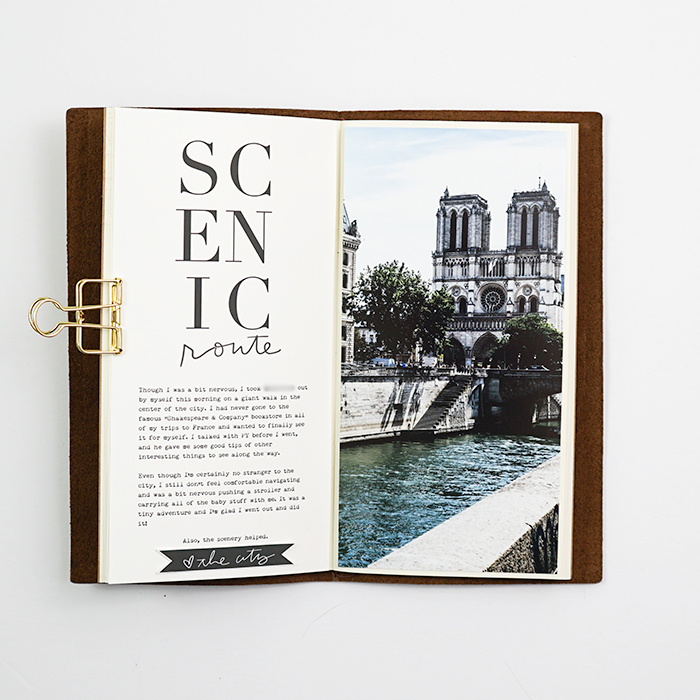 I finally jumped on the Traveler's Notebook bandwagon and have started a mini-album to document a trip we took to France last summer. I can't believe it's almost been a year since this trip happened and since we're going again this summer, I'm really trying to finish this up before we leave! I've finished about half of the album and have been sharing some bits on Instagram but thought I'd do a more thorough post here. It's been interesting to work in a different size (my brain is so used to pocket pages!) and I'm having fun with it. 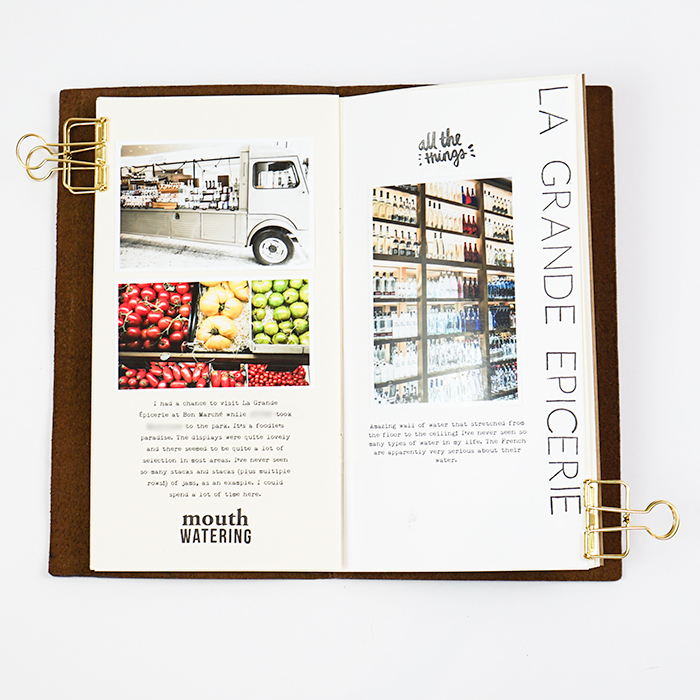 I'm trying to keep the pages fairly clean and minimal -- just photos, typed journaling, and simple, flat embellishments. Oh, and stamps! I've been going through my stamp stash finding sentiments and phrases. I'm also using different alpha sets and creating titles with these. It feels good to be using what I have and getting good use out of all these sets. Or print out on cardstock, cut out, and adhere on (like a die cut). 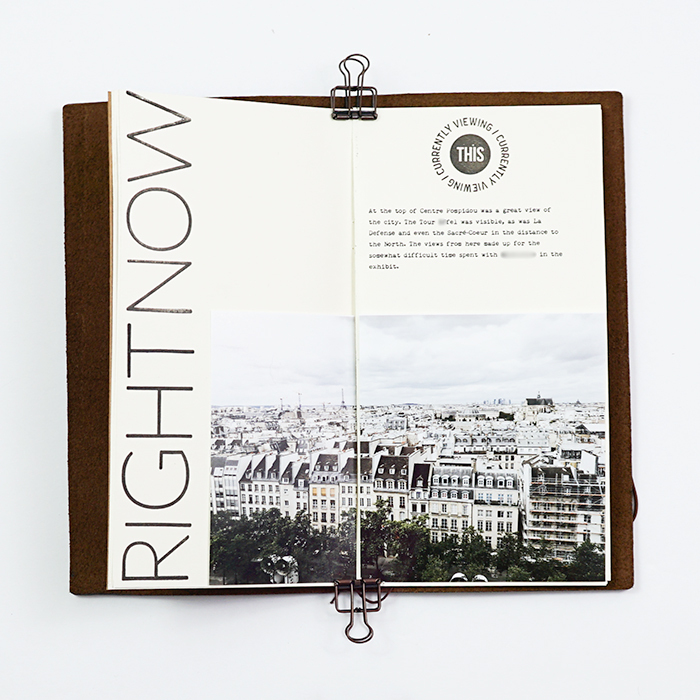 Even though I am using flat embellishments, I want a bit of dimension to these pages. Here are a few more pages I've made so far. I hope to share more when the album is complete. What about you? 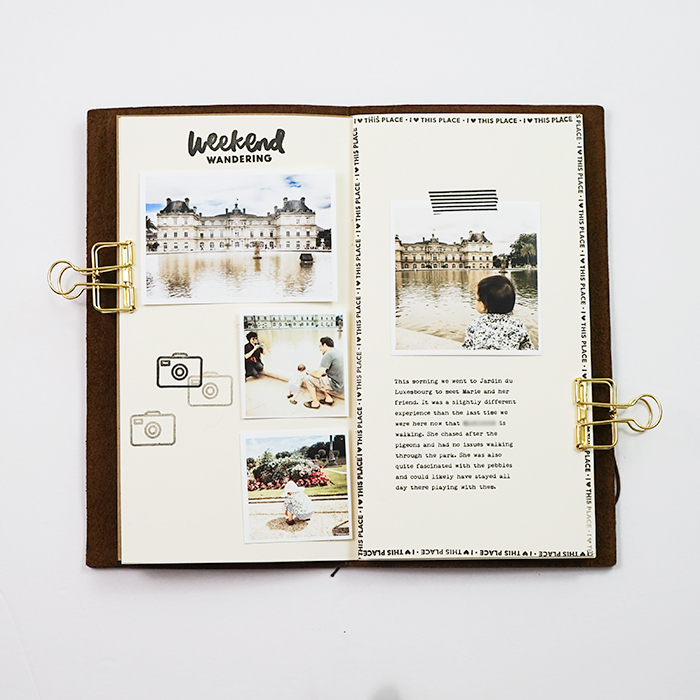 What are your summer plans and will you be documenting them? I'd love to hear about them! Love it!!! Thank you to highlight my beautiful country! Thanks Kimmy! It was a game-changer when I learned I could print directly on the pages. :) Good luck with yours! 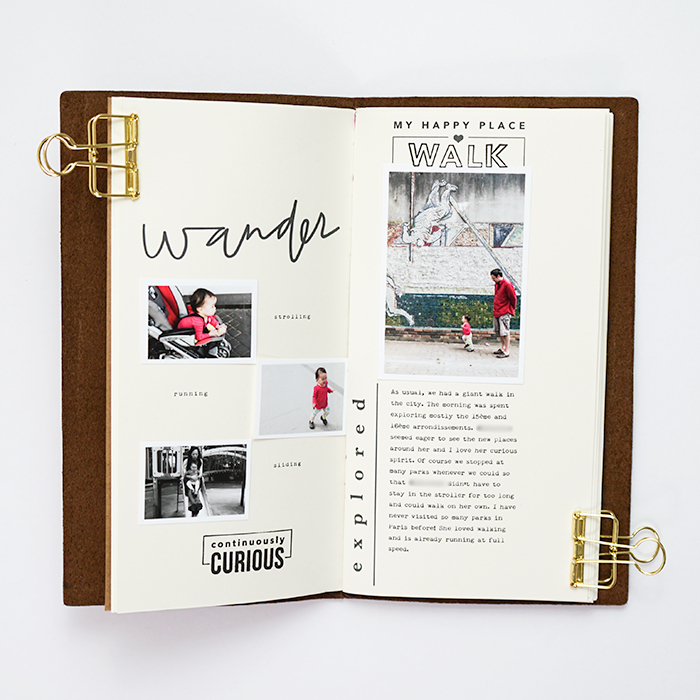 I so impressed that you can plan out where you want the journaling and print it out for the pages, before you add the pictures! 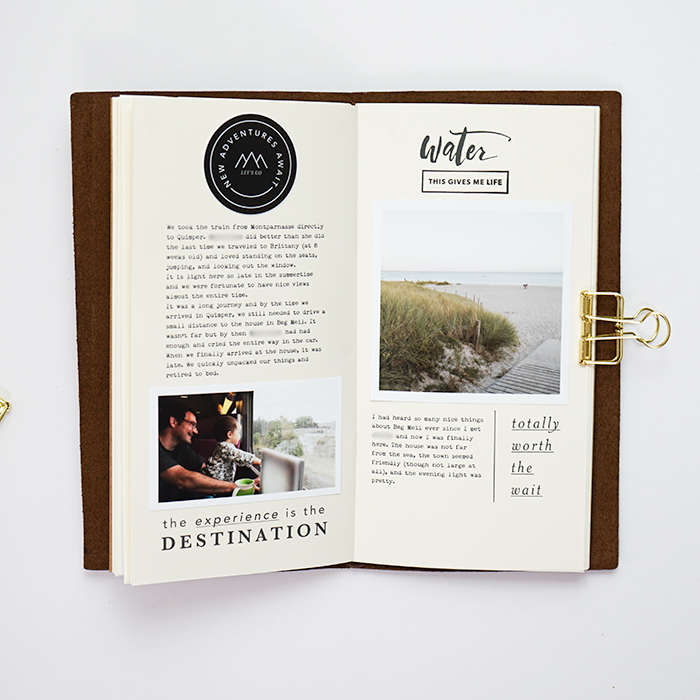 You mention it's still a work in progress, so how are you dealing with the other "half" of the journal page (that will be toward the end of the book when reassembled)? Love your book so much. 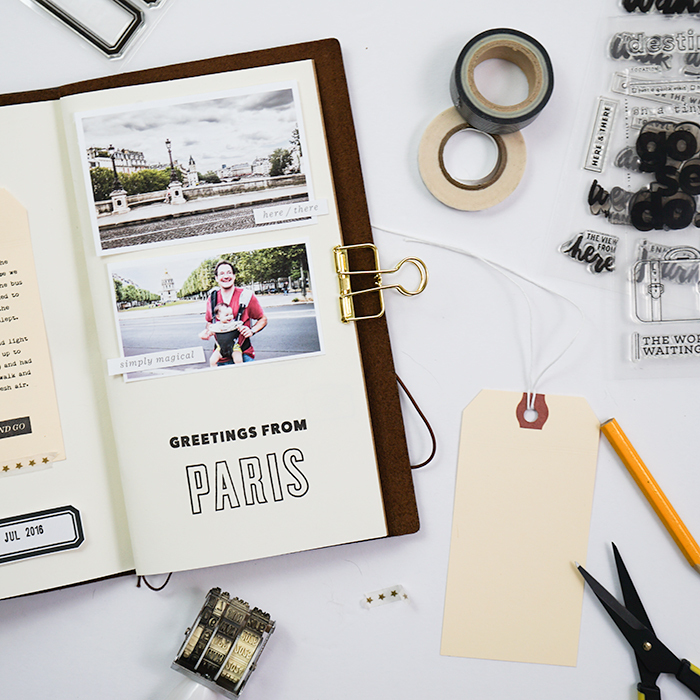 I'm working on a similar on from a trip to Paris last summer with my niece, who had just graduated from high school. The smaller format is fun, it I tend to want to add too much to the page (hard to only choose a few pictures). I'm really inspired by your minimal, clean style. And not adding much color makes it look so cohesive. Thanks for sharing! Hi Danielle, thanks for your comments! How fun that you got to travel with your niece to Paris! To answer your questions - I did some pre-planning so I know what's going on each page in the album. 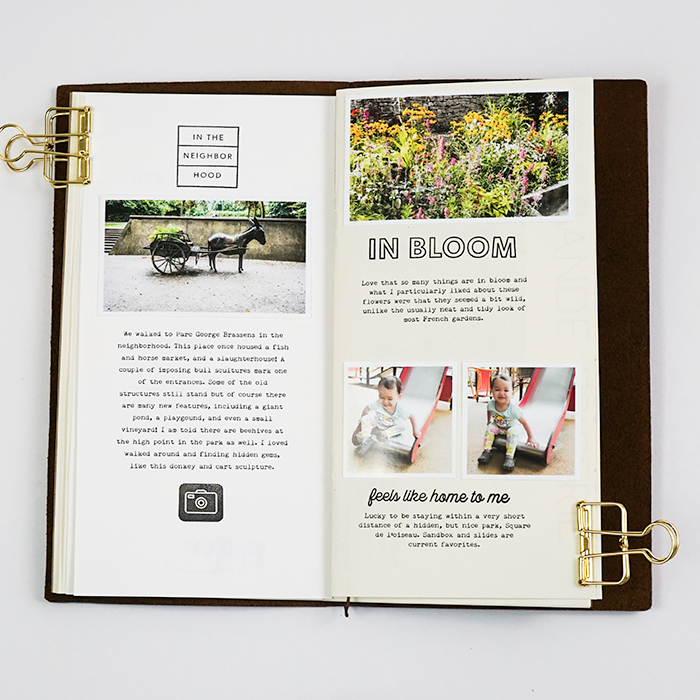 The pages aren't completely planned out in detail, but for example, I know that page 2 will have a spread about our flight and the corresponding page (the other side), page 30 (guessing on the actual number) will be a page about our walk in Jardin du Luxembourg. I am not working on this book in any kind of order and am try to at least complete the printing for 1 page (both halves) so I won't have to worry about feeding it back into the printer again with photos attached. Also, I'm pretty flexible and if I end up changing my mind later, I know I can just print on regular paper and adhere it! Hopefully that made sense? I haven't been working on this album as much lately and now that I'm talking about it, I really want to finish it up! I'd love to see your book too if you're sharing it anywhere?